It’s that tiiiime again! You know? Once more, I’ve trailed through Pinterest in search of something ‘fun’ ish to fill the empty void in this blog. 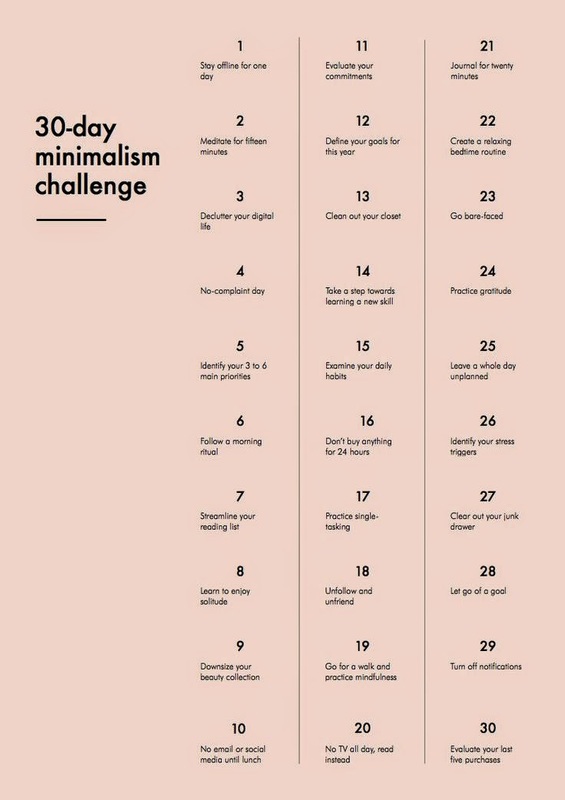 The minimalist challenge isn’t something I thought would exist. But it does so I’m going to win at it… Or put in some mediocre effort and then give up half way through. Though, this one does look like something I can do whilst maintaining my desired ‘lazy’ state. No, you know what! NO! This isn’t fair. From 9:30am 21/04 to 9:30am 22/04. I declare this my one day without internet!